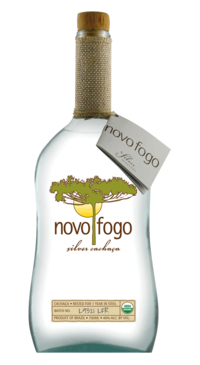 Novo Fogo cachaça is made from hand-cultivated organic sugarcane at a distillery located in Brazil’s Atlantic rainforest. Banana aromas on the nose initially, followed by floral notes. On the palate, citrus and tropical notes are balanced by salinity, and an impression of sweet red peppers wraps a lengthy, warm finish.